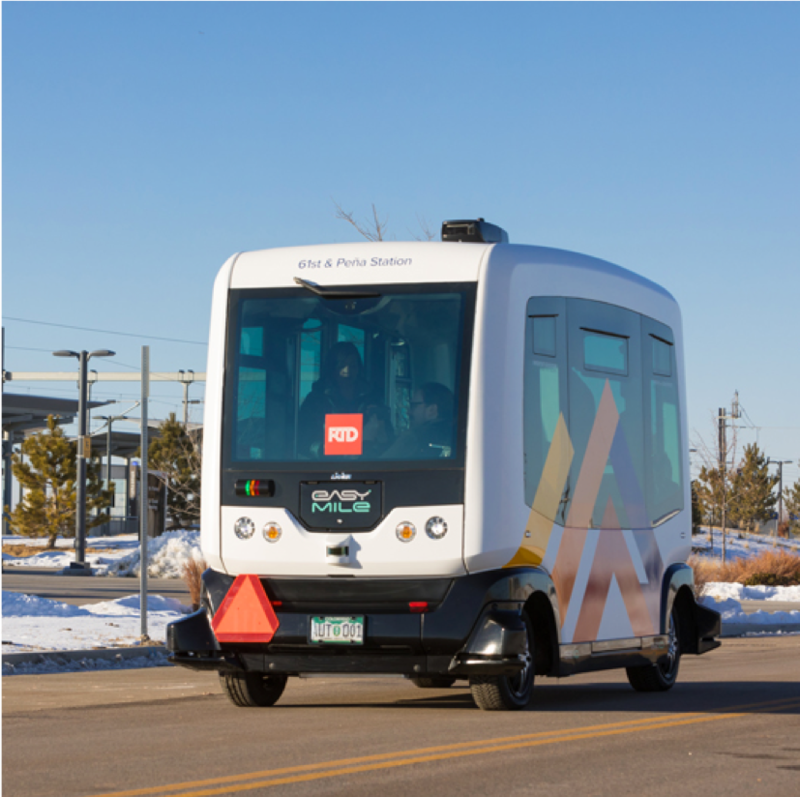 The EasyMile electric autonomous shuttle will operate for the next six months connecting passengers from the 61st and Peña commuter railway station to the Panasonic and EasyMile offices and to the 61st and Peña Park-n-Ride lot via four stops. Transdev is operating the free-of-charge service for the Denver RTD in a new route called 61AV, aimed at serving people who park and live near the 61st and Peña commuter station. The project’s main goal is to assess the viability of autonomous services in providing first and last mile connections to and from transit. The shuttle runs a predetermined route Monday to Friday from 10 am to 6 pm, making a complete loop every 15 minutes. Although it does not have a driver, an “ambassador” will be on the shuttle at all times to help answer questions and ensure safety for the passengers and operations.